Nail polishes, is that something new to me? I became obsessed with nails for about a year now. I always have a colour on my mind and kept looking until I found it. I think I own fair amount of nail polishes and I don't need any more so I don't buy them. Unless there is a nice colour and it's going to be Limited Edition. 1. What's your favourite nail polish company? I like Revlon and OPI. Both have nice selection of colours and they can last for around 3+ days. 2. Glitter or not glitter? I love glitter nails, but what's really annoys me, is removing them! Such a difficult job. Any tips to make it a lot easier? 3. OPI, China Glaze or Essie? I can't really say much about China Glaze or Essie because I had never tried any of their nail polishes before. I'm planning to try out Essie. I love OPI nail polishes, they have amazing colour range as well as names. 4. 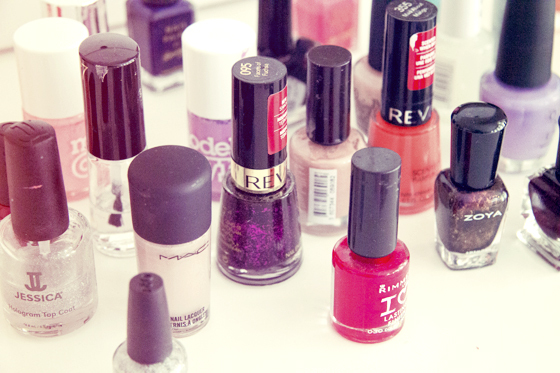 How often do you change your nail polish? 2-3 times a week, but recently I had given my nails some break, so I wasn't wearing any nail polish. I also had been trying out the OPI nail envy. 5. What's your favourite colour on your nails? I like bright colours, mostly corals and pinks, but sometimes I just love to wear nudes and browns. I like BarryM Pink Flamingo, OPI SweetHeart I had run out of this nail polish. 6 Darks or Brights? I like darks during winter and bright in summer. 7. What are you wearing on your nails right at this moment? Revlon Tropical Temptation 093 and Jessica Silver 601 as a top coat. 8. Matte Nails In or Out? I don't like this trend, I had tried it and I'm really not into it, some people can pull it of, but I can't. 9. French Manicure? I love it, wish I was pretty good at it, so I could wear it everyday. 10. Favourite Winter Colour? I love Barry M Navy 292, such a nice shimmery navy blue. I'm really into dark colour during winter. I tag: TERRI, SANDRA and any one else who want to do this tag. 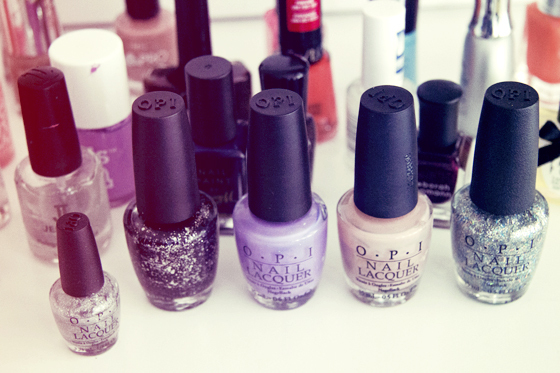 i like this post :) nice polishes! Thank you! I'll definitely be doing this :P I hate removing glitter polishes too! So pretty, yet so difficult! And thanks a lot, I appreciate it. You have lots of nail polish! 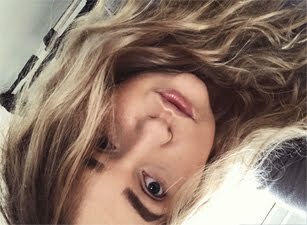 and if you like my blog, can we follow each other on GFC?